Mantle piecesÂ are fabulous when decorated adding another layer of interest whenÂ adorned with items of personal interest.Â If you donât know where to begin then simple candles and flowers are the easiest peasiest option to start off.Â You can then add to this display with prints, paintings or cards propped up. 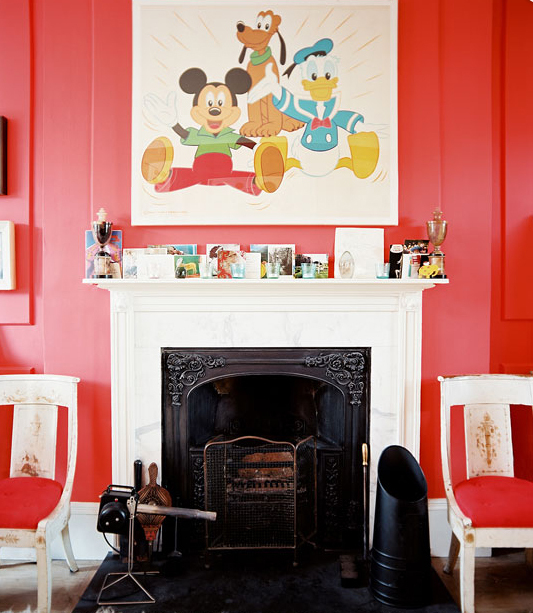 The rules (which we must ignore) often times warn not to adorn the mantle with a hodgepodge of decorative items. Yet here am I typing this sitting right next to my mantle and from right to left areâ one huge bunch of faux flowers, a gold head (which doubles up as a light) a cockatoo, two flower candles, 3 little Adler vessels, a big stone head I found in a flea market and a seasonal bunch of berries. On the wall space above I have plonked a super sized mirror. Something I find quite irritating I hate to say is how often times a small little mirror or piece of art sits in this space. I donât quite get it Â it looks so unimposing and bland but different folks for different strokes as they say. For me interiors should tantalise, they should surprise and be mismatched and creative. With the holidays around the corner its the best time to get creative with mantles and if you donât have one then shelves can get the very same treatment. Foliage, berries, Christmas lights, baubles will set a very glamorous tone. Happy weekend to all I am off to Columbia Road flower market on Sunday which is right near home to buy big fat bunches of foliage, berries garlands, lots of Christmas treesÂ (I want four yes a little indulgent but Â they will be smallish) and big fat mistletoe balls. Beautiful image love the interior just feel the space above the mantle could do with a mirror slightly larger. 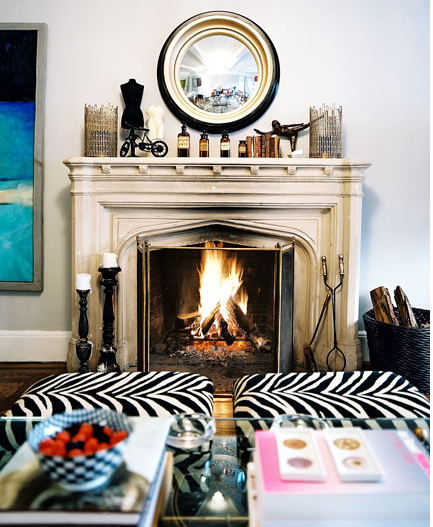 Love the mantle, simple beautiful and very much in keeping with the rest of the space.